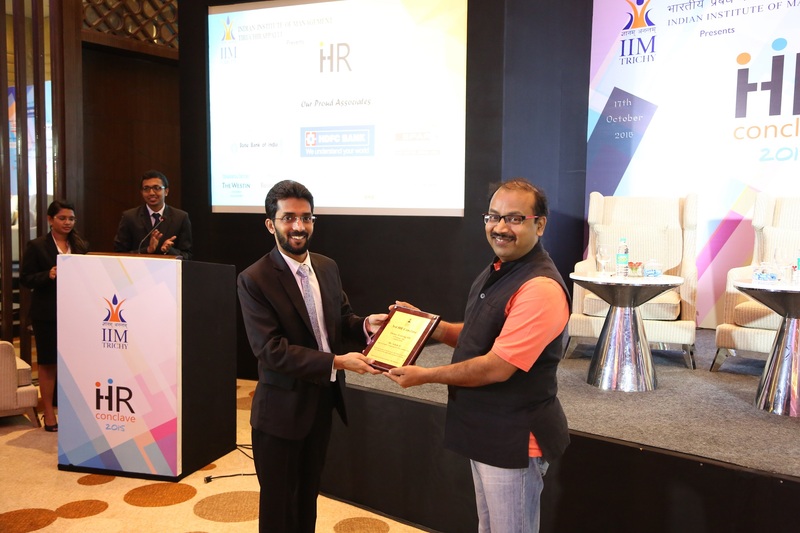 IIM Tiruchirappalli (IIMT) organized the third edition of its annual HR Conclave on 17th October, 2015 at The Westin, Chennai. The event was a grand success and has the attendance of both academic and senior corporate professionals. 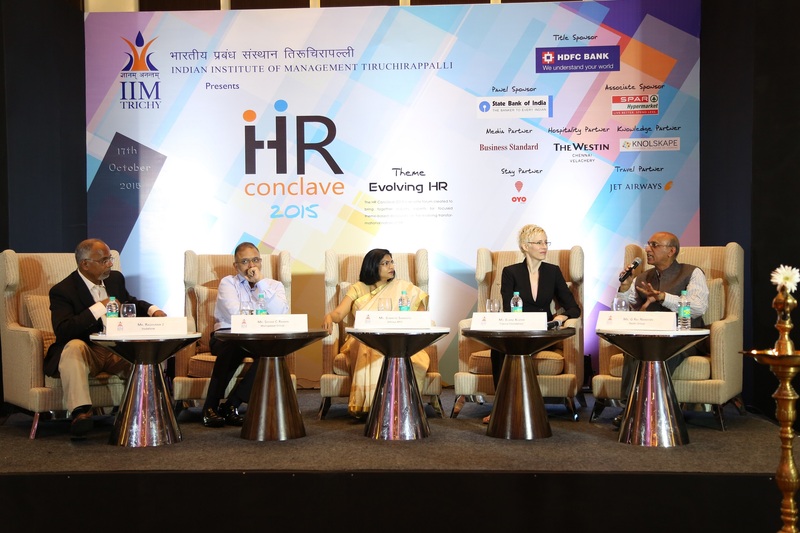 The HR Conclave brought eminent and senior professionals from the industry for a rendezvous where they shared experiences pertaining to the evolving role of HR. The Conclave is conducted with an aim to provide a platform for individuals associated with the field of HRM (Human Resource Management), to interact with the panelists and share the best practices they experienced in their organizations. The event was inaugurated by the Chief Guest, Mr. Deodutta R Kurane, Group President – Human Capital Management at YES Bank. 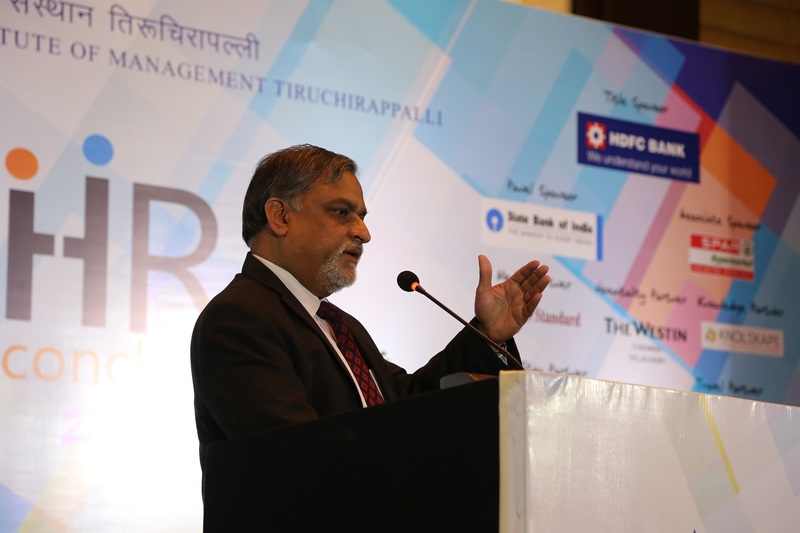 Dr. Prafulla Agnihotri, Director, IIM Tiruchirappalli addressed the gathering during the inauguration. The Chief Guest, Mr. Kurane spoke about the People-Work framework which addresses the evolving role of HR. He also talked about the Uberification of HR to address the challenges of the Virtual Office, creating packages catering to employee specific needs; convergence of leisure, work and fitness at work and rebranding of an HR Manager as a Human Capital Business Manager. The program had its first panel discussion on ‘Aligning HR strategy in the wake of Make in India campaign’ by Mr. G. Raj Narayan, Founder & MD, Radel Group; Ms. Sumathi Sampath, Head, Talent Acquisition, Infosys BPO; Mr. Raghuram J, Associate VP – HR, Vodafone; Mr. Shyam C Raman, Executive VP – Group HR, Murugappa Group and Ms. Elaine Kueper, Global Director, Tripura Foundation. This panel discussion was moderated by Mr. Raghuram J. There was a candid interaction between the conclave participants, students of IIM Trichy and other B-schools and the panelists to get a better understanding of the changing HR landscape and shaping the organisations of tomorrow. The key points of the discussion were the importance of the role of education, capability arbitrage, the role of big data analytics to prime HR Strategy in the wake of Make in India. The topic for discussion for the second panel was ‘Dynamic employee engagement and Employee Gamification’. 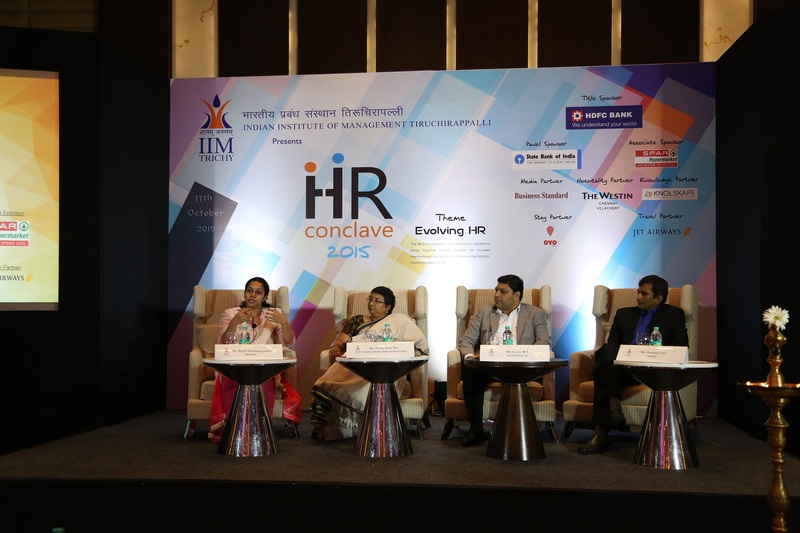 This discussion was moderated by Ms. Aarthi Sivaramakrishnan, Head HR, Beroe Inc. The panelists were Mr. Sujesh M T, Head – HR, DFS India Pvt Ltd; Ms. Padma Kiran Rao, Director – HR, Societe Generale Global Solution Centre; Mr. Prashant John, Founder & Director, Kwench Global Technologies. The discussion focused on creation of a standardized gamification system to better promote employee motivation and alignment of employees with the goals of the organization. 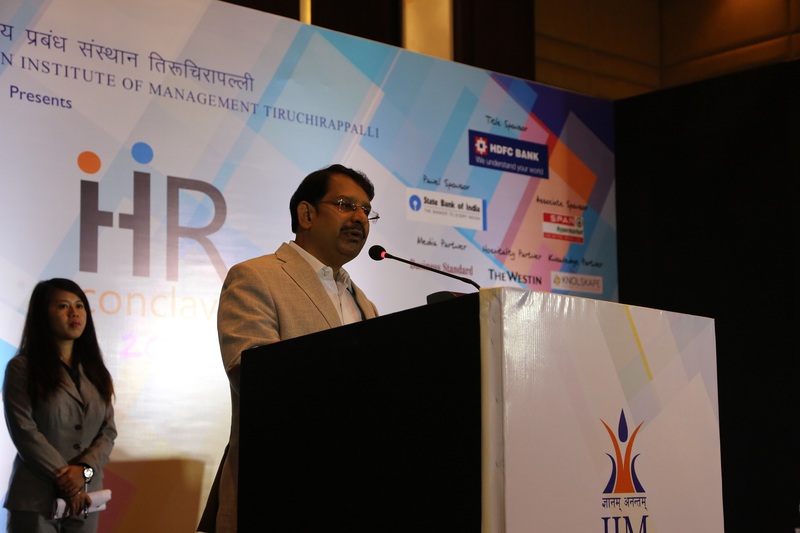 Mr. Ashok G, Senior VP, HR, SPAR – Landmark Group, through his valedictory speech, gave wonderful insights about the world of HR and signalled the end of the event. The day ended with the vote of thanks proposed by Prof. Upam Pushpak Makhecha, Associate Professor at IIM Trichy.